Frederick Augustus Porter Barnard was born 5 May 1809 in Sheffield, Massachusetts. He graduated second in the Class of 1828 with honors at Yale. He began teaching at Connecticut’s Hartford Grammar School, and in his spare time he played piano and flute and learned seven languages. By 1832 Barnard had determined that pedagogy was not a good career choice because of his acute hearing impairment. He spent the next six years working at the New York State Institute, a school for the deaf and mute. In 1837, after returning from a research trip to Yale, Barnard met Basil Manly, president of the University of Alabama, who offered Barnard the school’s chair of mathematics and natural philosophy. He accepted. Barnard spent the next decade and a half there, conducting scientific researching and publishing, before moving on in 1854 to hold the chair of mathematics at the University of Mississippi. Soon after moving to Oxford, Barnard entered the Episcopal priesthood. 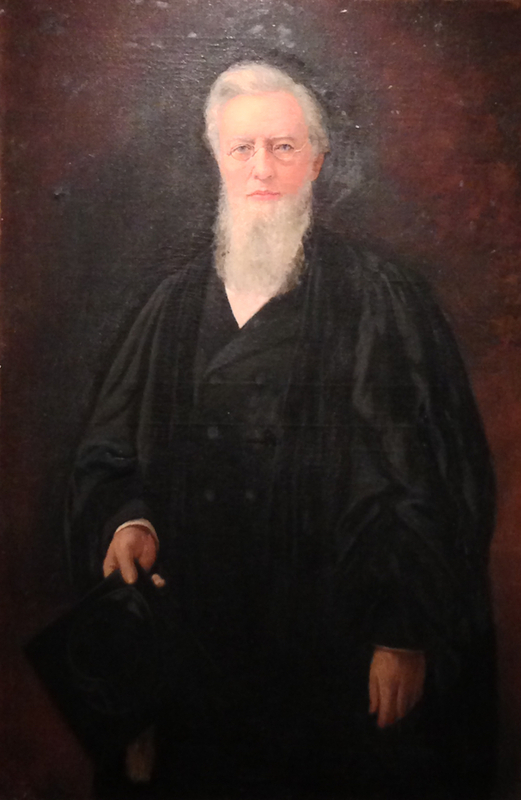 When Augustus B. Longstreet resigned as the university’s president, the religious factions among the school’s leaders scrambled to select his successor, and in 1856 the Episcopalians, who held a majority on the board, appointed Barnard to the position. Barnard worked tirelessly to place the university in the top tier of American institutions. His outgoing nature, support of the school’s literary societies, and efforts to construct a recreational gymnasium won him the admiration of the students. He also advocated the creation of departments of medicine, law, agriculture, science, classics, and political history. Barnard used the legislature’s 1856 appropriations for the university to build an observatory for the world’s largest telescope and laboratories for barometry, geology, and chemistry, facilities considered “the most perfect” in America. Although several of his proposed reforms did not materialize, the school added a chair in English literature, expanded the administration, achieved better disciplinary control over students, and instituted an emphasis on grammar and composition during the freshman and junior years.